Indentsoft Advanced Business Card Maker is a professional quality business card designing and printing software application. Create your stunning business cards easily. 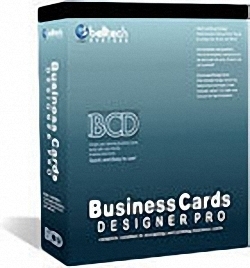 a feature-rich professional quality business card creator program, helps you create amazing cards with shapes, logos, cool arts and print them right-away on any Windows compatible printer. This helps you create stunning business cards with professional graphics and backgrounds and customize your card printing in many ways. Great features include, ability to add color-blend, texture and transparency to your text and logos. · Quick and Easy Design: Select and draw shapes and text. Resize, tilt, change color, fill with gradient color or do anything with your design elements. · Convenient Design tools: Can draw rectangle/triangle/circle or any freehand lines and shapes. the supplied backgrounds or use your own. Anything is possible and is easy. · Use Color blends: This is a unique feature of this business card software. You can now have a color blend the way you want, the control is in your hand. Remember, this is not a static background image, but a filled shape whose color-blend and texture you control completely." · Use your own clip-arts, logo, photos: We supply you with many graphics that you can use, but don't think that it is all you can use. Get your own picture, logos, clip-art and design the perfect card you want. · Supports any printing papers: Supports all standard business card papers from Avery and other suppliers. · Choose any card size: With version 1.1 and above you can choose any size from 1 X 1 inch to 5 X 5 inch. The choice is yours. The US standard is 3.5 X 2 inch or 2 X 3.5 inch. · Customize printing: Want to print 1 card or 5 card? You decide and watch the printing!!. · Save as image: You can save your work as bmp, jpg, gif, png image and take it to your favorite print-shop to have professional printing done.